So far this year, we’ve seen the transition of power in Congress, an extended government shutdown and still no technical correction to the Tax Cuts and Jobs Act. This leaves many taxpayers wondering how to move forward with their 2018 returns. While the TCJA was passed with much fanfare, it created a large drafting error related to Qualified Improvement Property). QIP is nonstructural real property installed on the interior of a building after the building has been originally placed in service. This could be anything from drywall partitions to lighting systems to bathroom renovations. Prior to the TCJA, QIP was considered “eligible real property” under the section 168(k) provisions, which made it eligible for bonus depreciation. Under the TCJA, QIP was intended to have a 15-year life under section 168(e). However, due to a clerical error, this provision was omitted. Unfortunately, the consequence of this drafting error eliminated bonus depreciation on QIP altogether. And while most industry professionals have been expecting a technical correction, it becomes less likely as more time passes without Congressional action. So, how should taxpayers operate in this time of uncertainty? To read the complete Accounting Today post that appeared online on January 30, 2019, please click HERE. 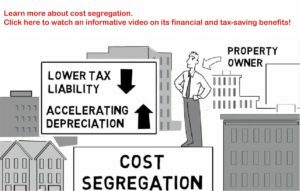 Or learn more about a Dugan & Lopatka cost-segregation study as a tax planning instrument HERE.